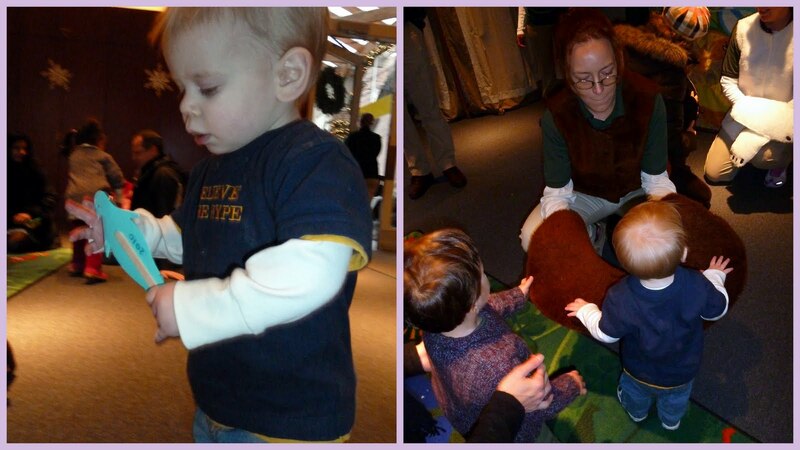 Mommy and I read about Winter Fest and decided we really wanted to go – and we convinced Michele and Max to come along with us! We were really excited, but we got to sort of a rocky start; I woke up in a sort of cranky and trouble-making type mood and was driving Mommy crazy. Luckily for me, I always know *just* when to do something super cute before Mommy throws me out the window. Friday morning, I took all the DVDs off the shelves, was underfoot the entire time Mommy was trying to pack our stuff up, and refused to let her put my shoes on – but then I went into the bathroom and tried to brush my toothies all by myself. We finally got our act together and headed out to pick up Max and Michele… and then Mommy made her biggest fail EVER. When we got to Max & Michele’s house, Mommy got out of the car and slammed the door, locking her purse, phone, *keys,* and ME inside. That’s right. We started the day with Mommy locking me in the car. Luckily, Michele has AAA and they came in about 5 minutes when she explained that I was stuck in the car – and I was not traumatized at all because I had fallen asleep on the ride over and remained unconscious throughout the entire ordeal. Michele and the AAA guy who unlocked Jane and let Mommy back in. After such an exciting beginning to our journey,we were hoping for a relaxing lunch before wandering over to the zoo. Unfortunately, when we got to Alice’s Tea Cup (Chapter 2), there was a two hour wait! The hostess was really nice, though, and she called over to Chapter 3 – and we could get in there in 15 minutes! 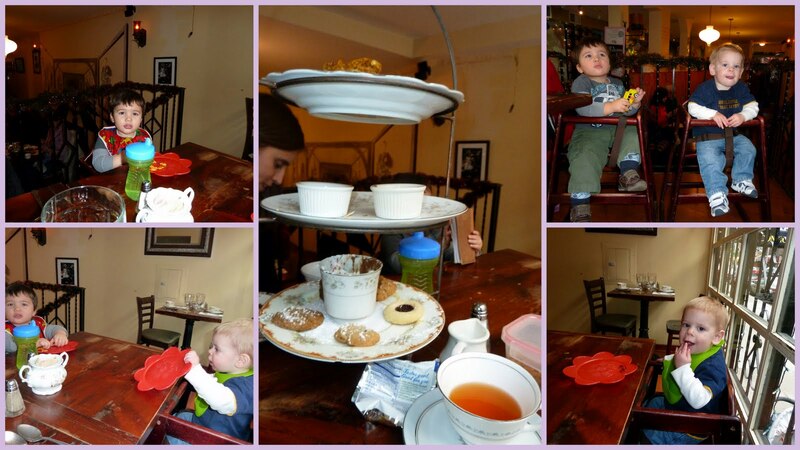 So we schlepped the 17 blocks and waited a few minutes before sitting down to an amazing lunch of scones, sandwiches, cookies, and REALLY yummy chocolate mousse – plus tea, of course (for Mommy and Michele – Max and I stuck to our water)! We even had leftovers to bring home to Daddy! Unfortunately, since we hiked all over the Upper East Side, it was almost 4:00 by the time we got to the zoo. We were really glad we’re zoo members – we were able to enjoy ourselves for the time we had, without feeling bad about paying for admission for only an hour or so. We had a really great time with our hour, though! We started out making a little craft, and then we saw a performance, before going outside to see a few animals. Sounds like an exciting day to say the least! Oh, now I am DYING to go have tea! It looks so fun!